We are, without doubt, a nation of animal lovers. And then there are those of us that take it to the next level indeed. I’ve been known to sit huddled up on the sofa in tears, watching Animal Planet, whilst Pete tries to wrestle the TV remote from my despairing grip. A lot of tears for animals have been shed in my lifetime, far more so than for people. It’s the way I’ve always felt ever since there is a memory from my childhood and can argue with utter conviction that the greatest gift a parent can give their child is to have animals in the home. It’s fair to say Boo and Maddie have a pretty good life, are well-loved and looked after and we really want the best for them. 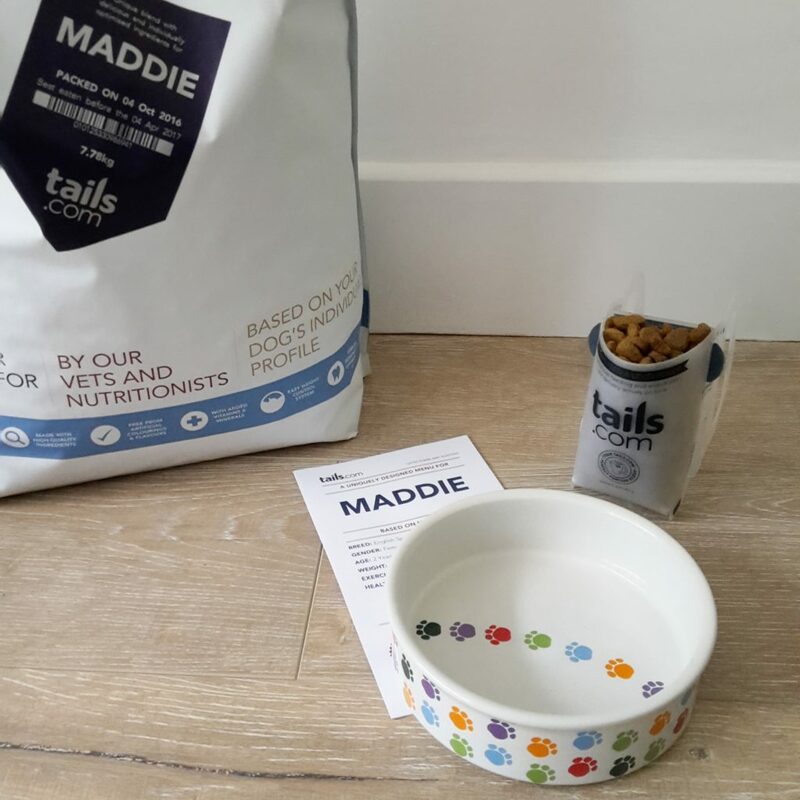 I hadn’t heard of tails.com when they got in touch asking if we’d like some food for Maddie to ‘review’ but after doing a little research thought they’d be perfect to give our energetic pooch everything she needs. I’m a bit of a futurist when it comes to animal food and as much as other dog owners have tried to convince me that a bit of meat and bones is fine for them, it’s my belief that in the same way we have evolved and no longer eat what pre-historic man did, dogs too have evolved from their ancestors. 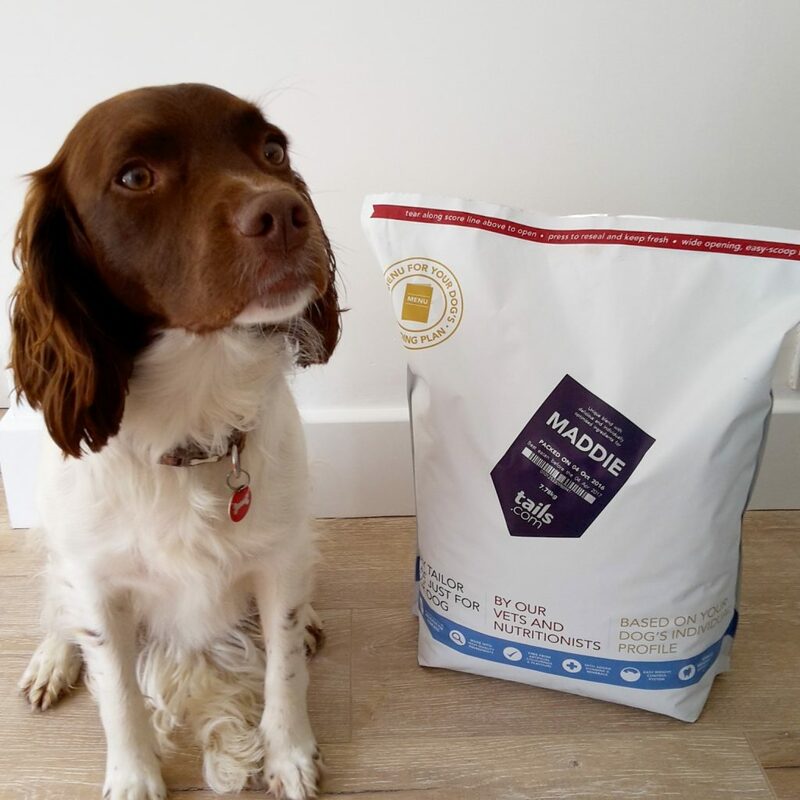 We’ve had Maddie on a dry food since we’ve had her and after a persistent upset tummy when she was a puppy, moved onto a special gastro-intestinal mix for the past 18 months or so. The beauty of tails.com is that the food is mixed entirely to your dog’s specifics. 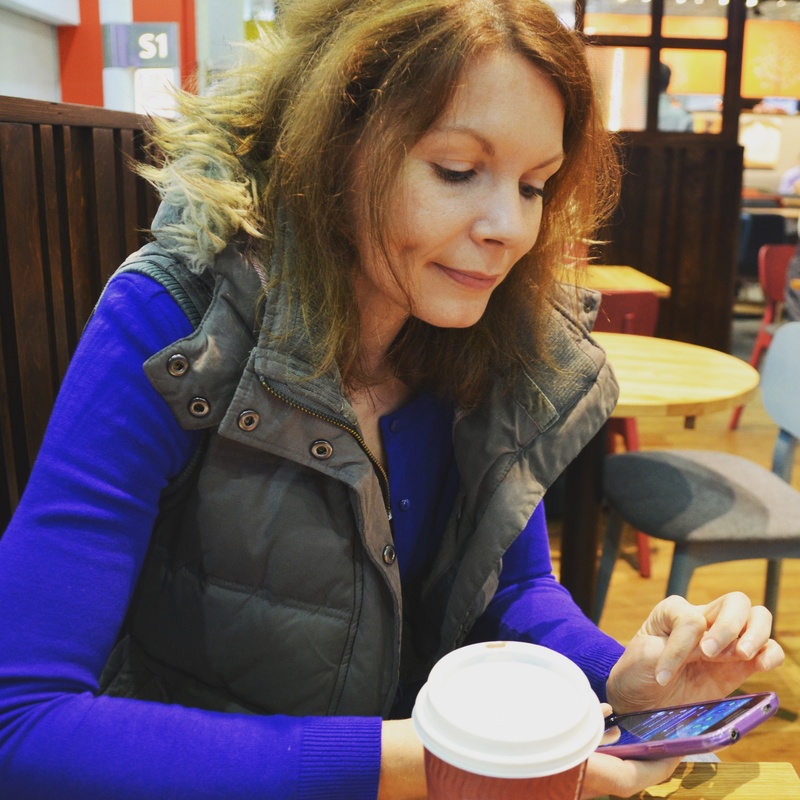 Using their easy online tool, you’re asked a series of questions about your pet including their age, breed, gender, exercise amount, dietary requirements and favourite flavour. 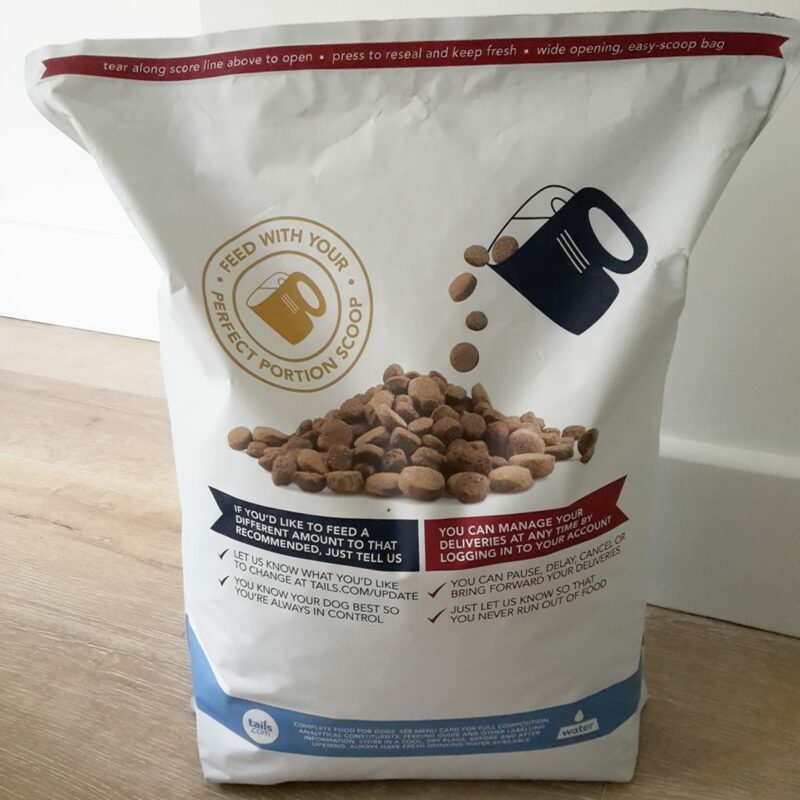 Based on this, a nutritionally-rich, specialist food is prepared for your dog and sent via post. 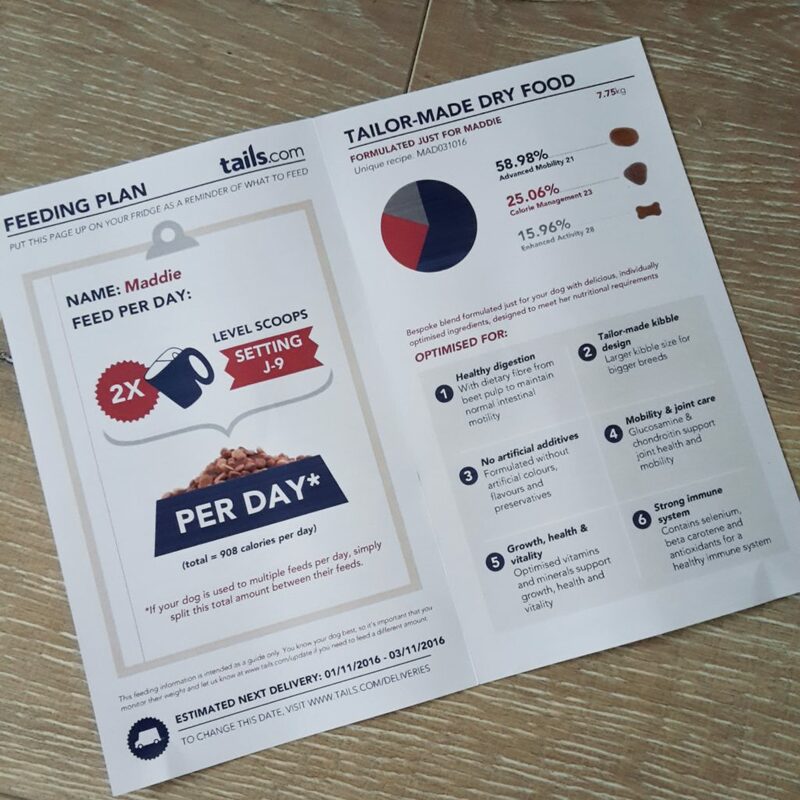 Each bag arrives boxed up and includes a nutrition/guidance card to let you know how much to feed your dog and in how many sittings. 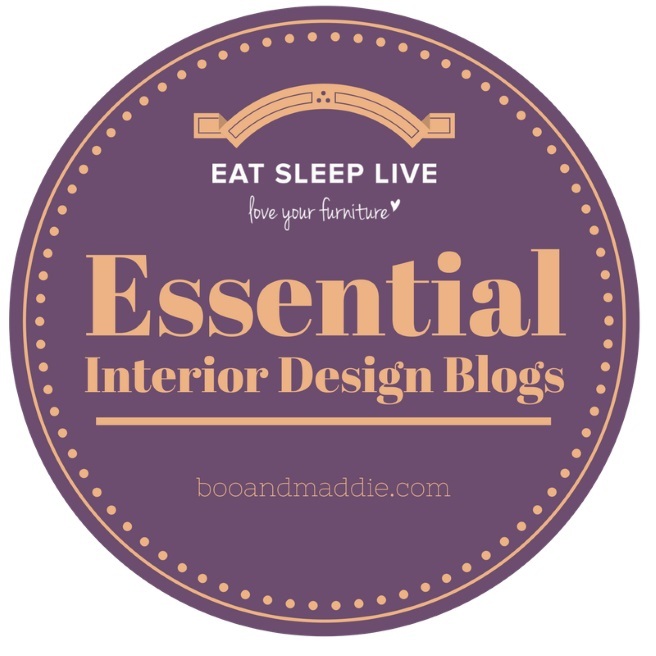 It includes a breakdown of what the food consists of and how your dog will benefit. The food itself is stored in a handy keep fresh foil resealable bag and includes a handy measuring scoop with different settings. It’s easy to put together based on the instructions and the setting we were given based on Maddie’s details is J9, 2 times a day. She has breakfast before I leave for work and then dinner when I get home so has adapted perfectly to her new food which she’s now been on for about 2 weeks. 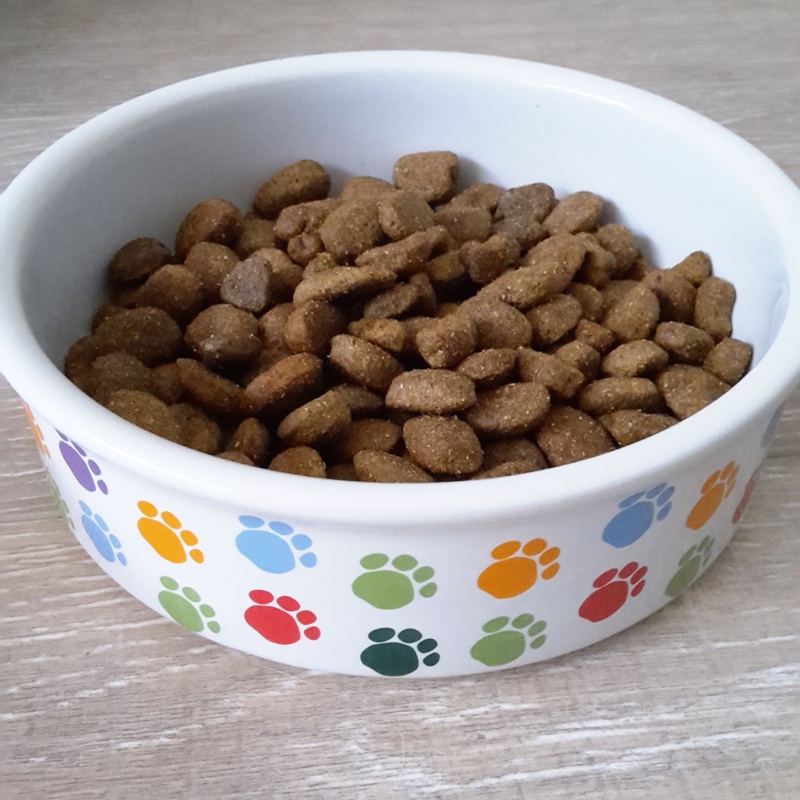 Of course it’s hard to tell what dogs think of their food since it’s generally been wolfed and the bowl licked clean within precisely 20 seconds, so we look out for the other um, obvious symptoms, like toilet habits (TMI), energy levels and coat condition. We may not work Maddie but she she still has all the traits of a working gun dog and as such has ridiculously high stamina. She’s up without fail every day at about 6am and if we were to be up too at that time she’d like nothing more than a massive walk before breakfast. In true Springer form, if she had her way she’d be outdoors all day so we have to make sure she gets everything she needs to keep her bouncy, boisterous ways. We’re really delighted with the food and service so far from tails.com. 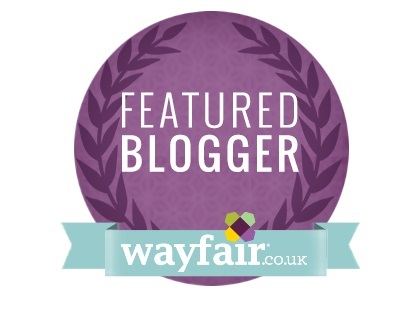 For the purpose of this review, the first bag was sent for free but I’ve decided to stick with them for now and so will pay £25 each time a new bag is delivered. I had originally thought they last approximately one month but think this will last longer. The system tries to pre-empt when they should be delivering the next bag based on the quantity you’re meant to feed your dog and send emailed reminders. If you need to postpone the delivery as I’ve just done, or pause it, that’s no problem at all. Our next delivery is currently due to take place around 20th November but will possibly need postponing once again if we still have enough from her original delivery leftover. 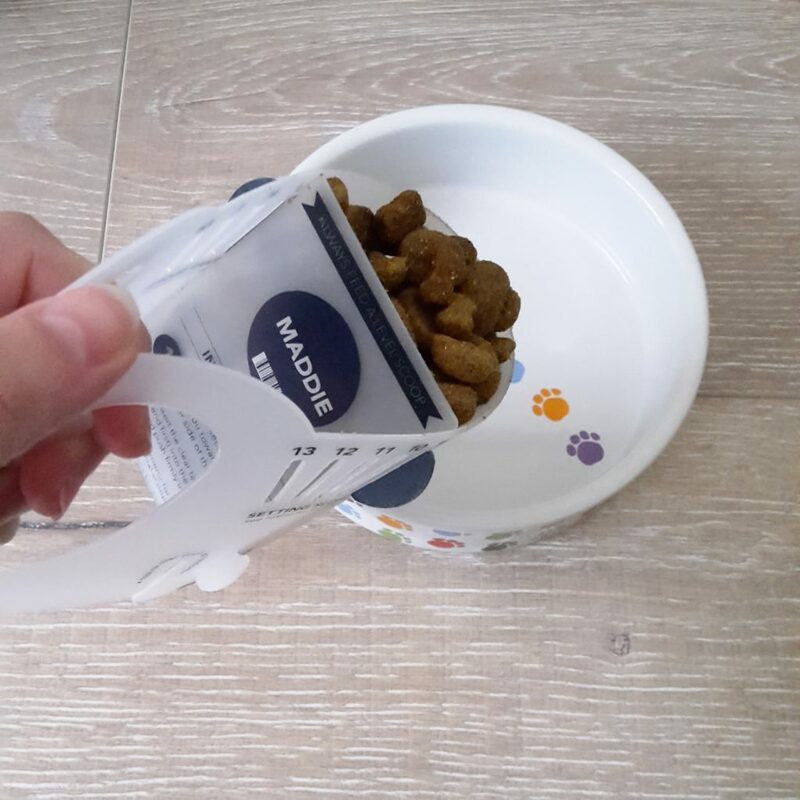 The other advantage is that because all your pet’s details are stored by tails.com, as your pet ages they can adjust the food mix and nutrients accordingly. 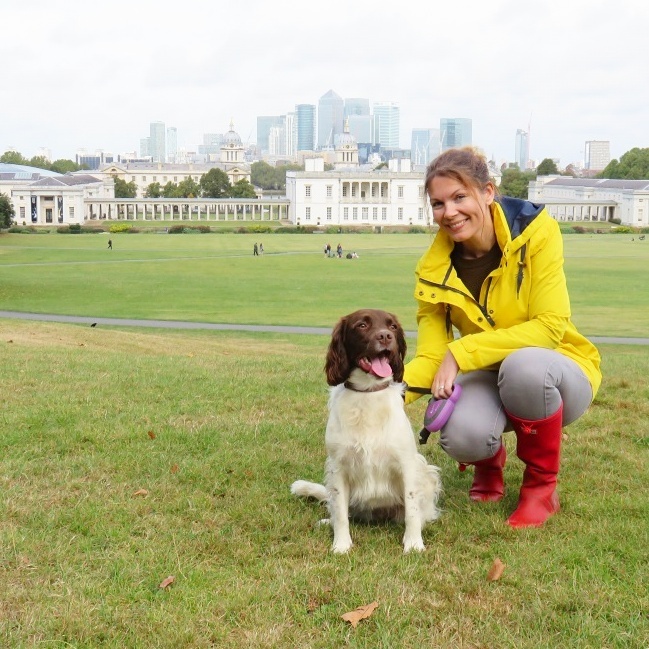 All in all I think this video from our dog walker shows that she’s a dog that lives life to the max! I adore her! Love the video, she is such a bundle of energy and if I had a pooch I would want to buy tails too!